If your home is currently filled with furniture that you haven't used in years, then you should consider calling in South Bend Junk Removal to haul these items away and free up some much-needed space. 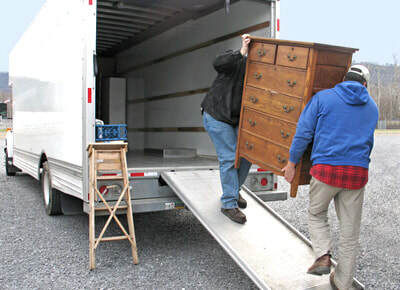 South Bend Junk Removal will show you, how to dispose of furniture when moving. Our home furniture removal company can make the whole process of removing a simple task, to prepare for your pick up. We remove any unwanted furniture which include; old sofa sets, beds and outdoor seats. We will also help you clean your house by removing any unwanted junk in your house. We know how to do our job because we have trained professionals who have a lot of experience in home furniture removal services. Although South Bend Junk Removal should be able to handle household appliances of any size, if you have a lot of furniture, then the job could end up requiring multiple trips. At South Bend Junk Removal, our philosophy is that we're willing to haul away anything and everything that will physically fit on the back of our truck, and if multiple trips are required, then so be it. As professional furniture, we know to deliver our services on time. If you're bringing in a team of professionals from South Bend Junk Removal to haul away an unwanted appliance or piece of furniture, then you should tell them to approximate your furniture removal cost. Before your scheduled pickup, take inventory and decide which items you're willing to part with once and for all. After you make up your mind, contact us to ensure that everything you're looking to get rid of will fit on its truck. If you're having multiple appliances or larger furniture pieces removed, then there is the possibility of running out of a room – at which point, you may or may not want to pay to have an additional load hauled away. We will do our best to remove all the unwanted furniture from your house – no matter how large they are – without damaging your home in the process. To reduce your probability of something going wrong, clear a path to the appliances and furniture you're looking to get rid of before your junk haulers arrive. This way, they'll be less likely to trip over or bang into something in their way, thereby causing damage to your home. Home Furniture Removal will teach you how to get rid of old broken furniture. While you might think that the idea of hauling away appliances and furniture sounds complicated, as long as you choose South Bend Junk Removal, the process is actually a piece of cake. So rather than struggle for space in your home, make the call and get ready to bid those unwanted items farewell.